"Ripped from the headlines..." seems an apt description of the premise for the fourth (and latest) Detective Wade Jackson mystery by author L. J. Sellers. The crimes this time are home invasions. The series is set in Eugene, Oregon. As Detective Jackson laments, he is "...worried about what was happening to his hometown. For most of his life, Eugene, Oregon had been a safe midsized college town - a tree-loving, friendly place to grow up in, with the mountains and the ocean only an hour's drive away…now Eugene was a small city with a growing crime rate, a meth scourge, high unemployment, and a dying downtown..."
Budget cuts may soon cost Detective Jackson his job. But for the time being, he has been assigned to investigate a mass homicide - the first in Eugene's history. Four bodies were discovered at home by a relative. Not a murder-suicide. Eugene's crime history is in the big leagues now. The author weaves a tale of crime, suspicions, and murder that will have the reader thoroughly engrossed from page one until the very end. There will be no easy guessing "whodunnit" or why, before Detective Jackson, himself, figures it out. The case is a complex one. The ending may surprise readers in more than one way. 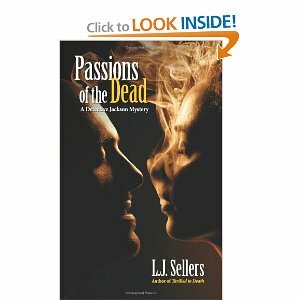 Readers new to the series will not be at a loss as to what has gone before, they can easily pick up the needed background while reading PASSIONS OF THE DEAD.